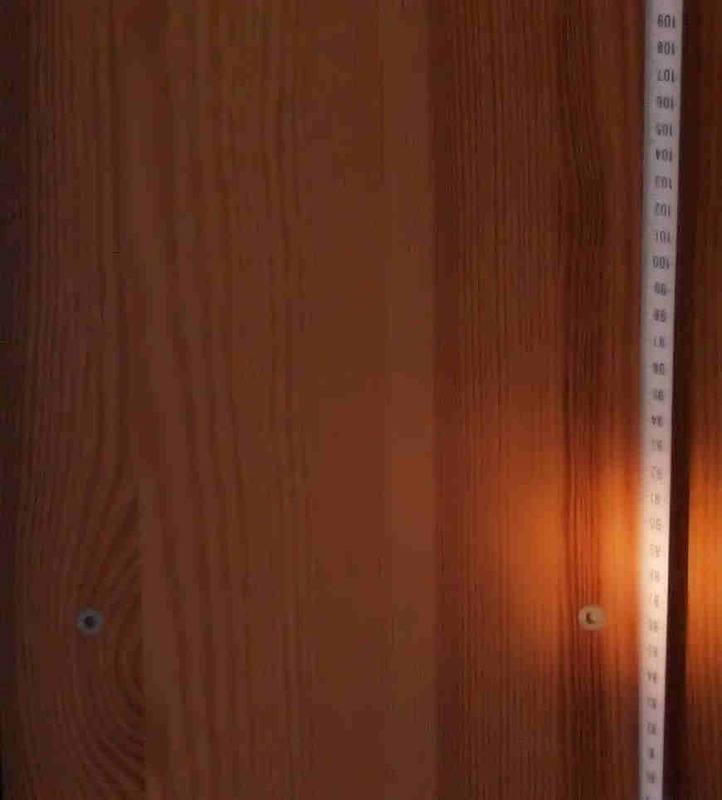 In the lower photo above, we see a tape measure hanging in front of a wood surface, partly illuminated by a spotlight. The upper photo is exactly the same scene but taken with a long exposure. Notice the overall slight blurring and, even more striking, the double image of the tape measure. This happened because the camera was deliberately moved once during the long exposure. There is only ONE physical tape measure present and only one photo has been taken! It has been exposed twice in one long exposure photograph with the rather uniform background tending to disguise that fact from the casual observer. If the tape measure had been excluded from the original frame, its twin would still have unexpectedly appeared once as a ghost extra. 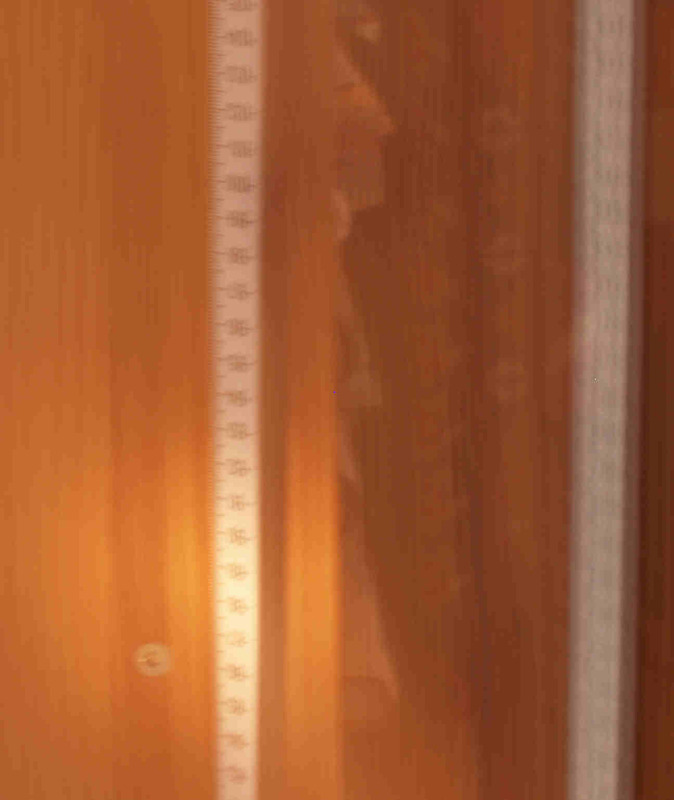 Note that there are two distinct (if slightly fuzzy) images of the tape measure but no blurring connecting them to indicate camera movement. Fig 1: Taking a long exposure; the photo can be surprisingly clear (see photo top right) but looks blurred when examined closely and may include light trails and light patches and other odd features. One of the most puzzling photographic anomalies is the ghostly figure or object (or 'spirit extra') seen in an otherwise normal photo. The photos contain objects or figures that were definitely not there when the photo was taken (as shots taken immediately before or after show). These anomalies have occurred for a long time and are as common in film as in digital photographs. So what is the explanation? How can an image that is not in the frame of the original photo nevertheless appear in the final shot? There are some clues. The photos are generally (if not always) long time exposures ( longer than 1/30s). Very often, this long time exposure is unintentional and the photographer may well not be aware of it at the time. Using EXIF data, we can retrieve exposure information for shots taken with digital cameras. Now, imagine you are the one taking the photograph. You take a shot in low light. It looks reasonable, if a little blurred, on the screen of your digital camera. When you look at the photo enlarged on a computer it looks worse, possibly streaked with light trails. Most of the features in the photo may look reasonably recognisable but there is something there that wasn't present when you took the shot! Is it a ghost? What has happened is that you took a long exposure, probably without even knowing it. The picture is blurred because you cannot hold the camera still enough for more than about 1/30s (fig 1). However, at some point (usually at the end of the exposure), you stopped pointing the camera at the subject, unaware that the shutter was still open, and it pointed momentarily at somewhere else (fig 2). If there was anything bright in the 'somewhere else', it will get superimposed on your original scene (fig 3). The rest of the 'somewhere else' will not appear as it is not exposed for long enough (compared to your original scene). Any highlights in the 'somewhere else' appear as light trails from the camera moving away from the original scene. Thus, the 'extra' or 'ghost' in your scene is something brightly illuminated that is nearby but not in your original shot. This is all illustrated in the photo top right. A brightly lit section of the floor is caught, though out of the original shot. 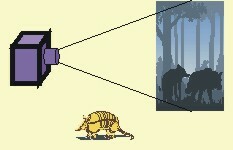 Notice how it is at an odd angle to the main photo - this is a clue to its origin outside the original frame. 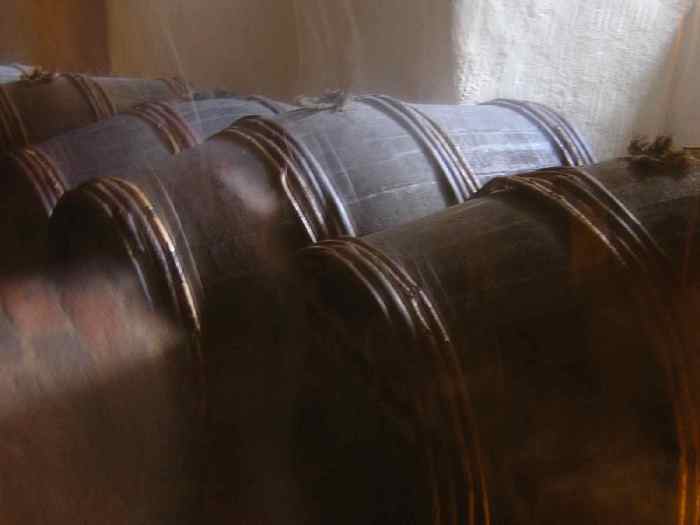 Note also that both the barrels and the section of floor are slightly fuzzy though still acceptably solid looking. This is because the camera moved quickly between two positions recording and moved too fast between the two to record any blurred track. Fig 2: At the end of the long exposure, the camera points away and captures another brightly lit object briefly with the shutter still open. Is it really a mirage? Elsewhere on this site we presented this bizarre photo as an unexplained anomaly. One possible explanation presented was a mirage, caused by layers of air at different temperatures refracting an image of the floor into the air. However, while mirages are certainly seen and photographed (see here) this particular anomaly is more likely to be the result of a long exposure, as explained left. What probably happened was that, during this long exposure, the main subject was exposed well but then a bright bit of brick floor was caught by the camera as it was lowered at the end of the shot with the shutter still open. Note the faint light trails and general blur which indicate a long exposure. In fact, from EXIF data, we know the photo was 2s. For more on paranormal photos see here. 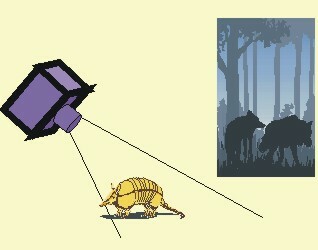 Fig 3: In the final photo, the second object appears (at an unlikely angle) as if it was in the original picture, even though it was out of the frame. The photographer may not even have noticed the second object. The orginal object and the 'extra' will all look reasonably sharp without any blurred track connecting them to show what really happened.